Wednesday August 22, 2018 - A research released by Ipsos Synovate on Wednesday shows that Deputy President William Ruto is the most corrupt person followed closely by Kirinyaga County Governor, Miss Anne Waiguru. 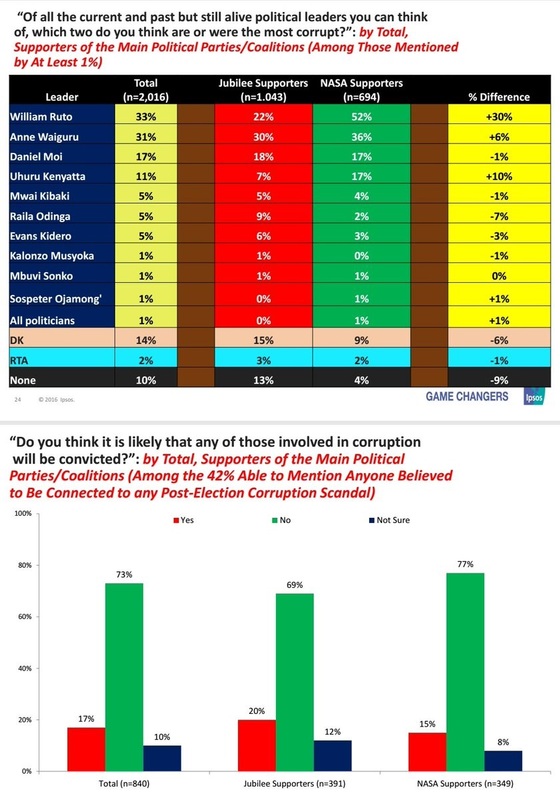 The report which was announced by Ipsos’ Head Researcher, Tom Wolf, shows that 33 per cent of Kenyans believe that the DP is one of the most corrupt influential people followed closely by Waiguru at 31 per cent. Following the report, a number of Jubilee Party leaders led by Kitutu Masaba MP, Shadrack Moses, claimed that it is biased and was aimed at soiling the Deputy President’s name. “That's pure political witch-hunt. We are not told who was interviewed and the methodology used,” Mose stated. "Also, the researchers failed to tell us what Kenyans believe Ruto has stolen or acquired illegally,” Mose added. 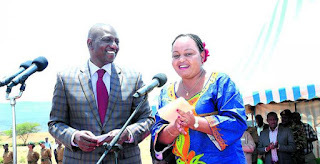 The MP’s sentiments were echoed by Nyamira County Women Representative, Jerusha Momanyi, who said the report was a witch-hunt by Ruto’s political nemesis. "In the past, they never told us about who's corrupt. Why is this now important? I believe this is political witch-hunt," Momanyi added.